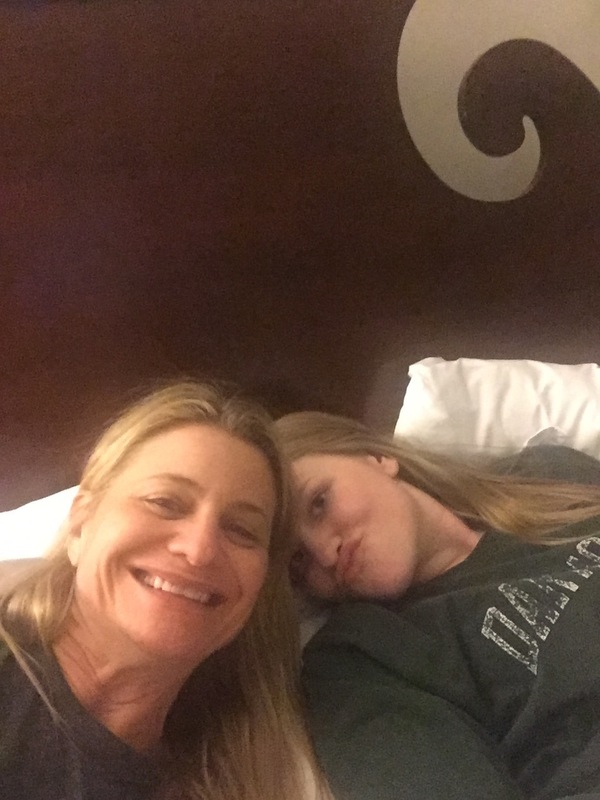 Having just recently received word that child #3 had been admitted to college (Tulane, Class of 2020), I find myself back on the open road doing the college tour all over again with child #4. Since each one is different, there are no repeats in the school list. It’s a clean slate, which in my case means all new opportunities to get lost, eat food high in calories and saturated fat and have one on one mother/daughter time where I will learn all of my downfalls and shortcomings. If you’ve never had the pleasure of touring colleges you should know the planning can sometimes be more complicated than a European vacation. Weather is a big factor as is obtaining a spot at a coveted info session and tour during a school break. And most schools are far from one another and require various modes of transportation even when you try and scale it down to size by a geographic area. This trip we are doing North Carolina with a finale in Tennessee. Winter in North Carolina is tricky and can change in one day which makes packing a carryon with a week’s worth of clothes challenging. We arrived Monday night in an ice storm keeping us from venturing outside for dinner (there was an attempt – after a quick slip we turned right around and headed back inside). I highly recommend reaching out to anyone you may know that has attended the school you are visiting prior to making your reservations. A well situated hotel, close to campus with a great bar and restaurant can be key especially in bad weather. Our Carolina advice came from Stephanie, a friend from Rye who graduated a few years ago. She couldn’t have given us better counsel by suggesting the Carolina Inn. Dinner was delicious, our room was large and the bed very comfortable. The homemade cookies by our pillow sealed the deal. Last night, while watching the Grammy’s, the school delays scrolled as we watched. This morning we woke to a sunny mid-50 degree day: crazy North Carolina weather. 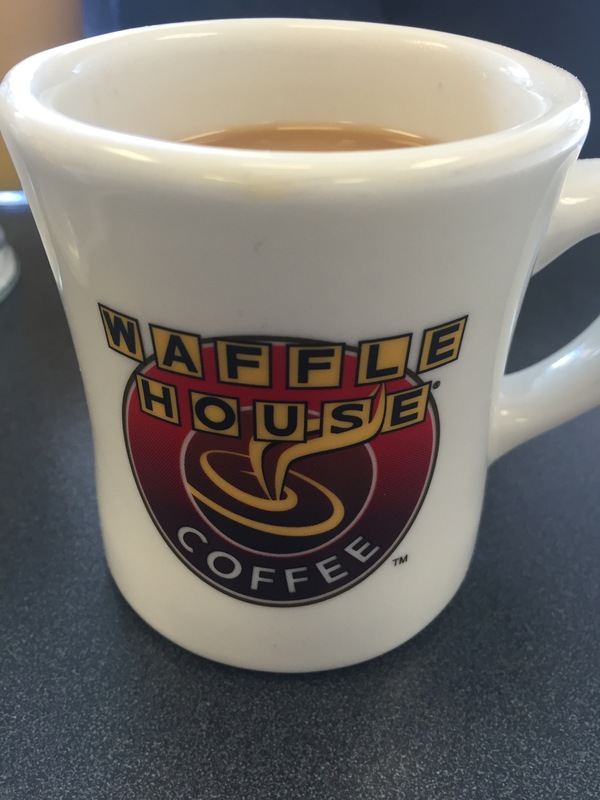 Breakfast was at the Waffle House on Franklin Street. However, if you are visiting UNC, don’t just go into the first Waffle House you find on Franklin Street because if you do, you’ll realize after you’ve eaten, that when you walk a little further that is was the wrong Waffle House. You were actually looking for Ye Olde Waffle House. This sort of thing happens to me a lot. Regardless, it was a good enough waffle and the coffee was pretty decent. 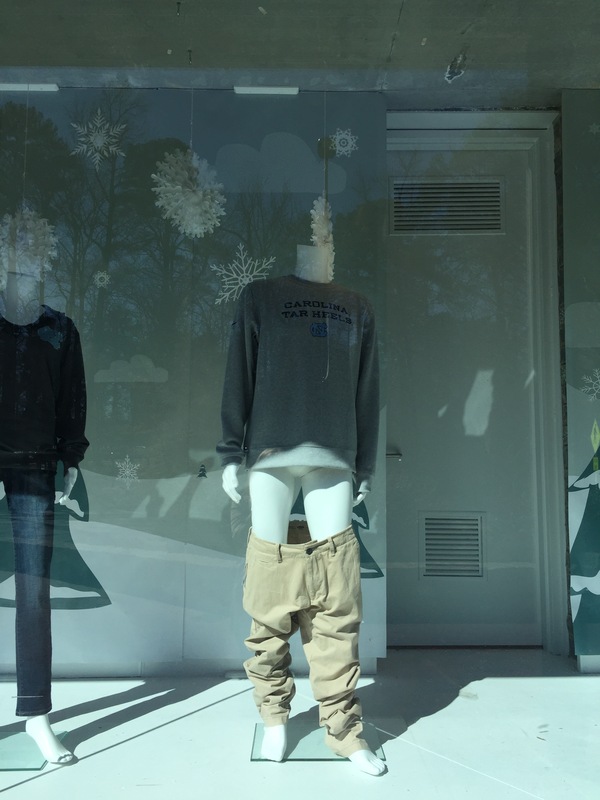 We happen to be visiting UNC at a very interesting time. 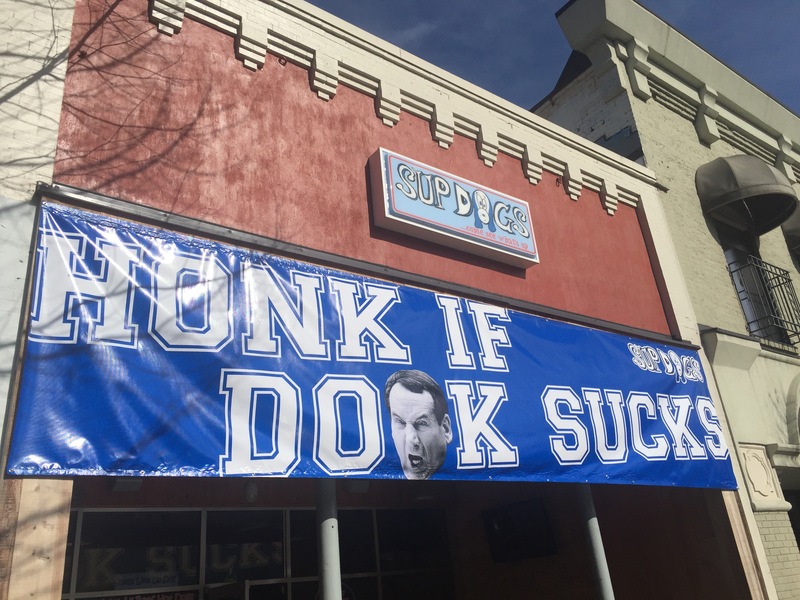 They play Duke at home tomorrow night (they only play Duke twice a year) and so everyone is getting in the sprit of things. 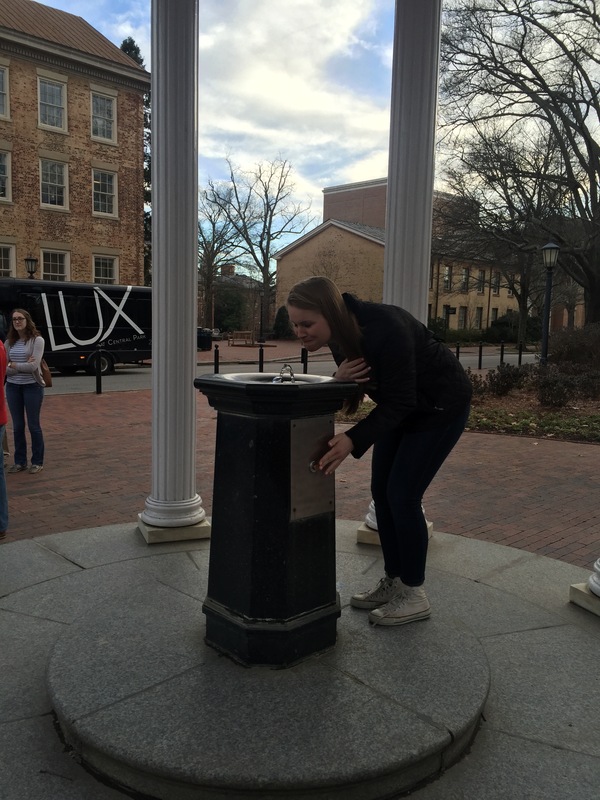 UNC, which I now know students here call Carolina, has a lot of old and quirky superstitions. One is drinking out of a fountain that used to be a well that served as the only water source for the school back when it opened in the late 1700’s. It guarantees a 4.0 each semester you drink from it. I thought it couldn’t hurt for Annie to take a drink.